Monday was Week 30 of the Icarus Expansion Project, so we technically have 10 more weeks to go though Twins come on their own schedule, the average being 35 weeks. Ideally, we want to get as close to Week 38 as possible so we can avoid the NICU. It looks like our family might be celebrating Nightingale's birthday, our wedding anniversary and the birth of moose and squirrel all in the same week. 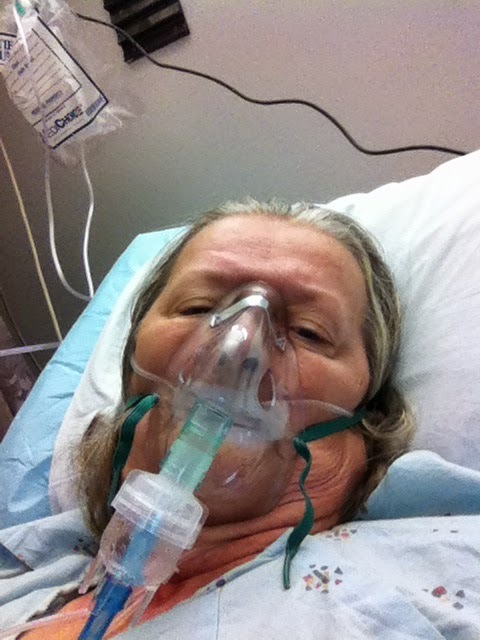 We had to admit my mom to the hospital on Saturday because she has been ill for over two weeks. When she didn't come to our baby shower we knew something was up. She was texting that she wasn't feeling well but downplayed how severe her malady really is. A neighbor reached out to me on FB and let me know that she hadn't been seen outside her house in a while and was too weak to come to the door. We rushed over and brought her to our house. At first she seemed to be getting better but the forward progress didn't match the amount of time she was sick so we took her to a clinic (she only has medicare A) but they wouldn't take her without proof that she was denied Medicare B so we had to take her to the emergency room. We choose the hospital closest to us because I figured we'd be spending a lot of time going back and forth and also because it was Lalapoolza weekend, Nightingale knew from experience the Northwestern ER would be overwhelmed with drunks. In hindsight, we should have sucked it up and taken her to Northwestern because 1) the quality of care is noticeable better and 2) if you're gonna stick a hospital with the bill, it should be one that makes as much revenue as Northwestern instead of the poor understaffed and underfunded community hospital we ended up at. The abscess was surrounding her liver and her kidney! They drained a liter of pus out and will eventually need to do surgery. Thy also want to do a colonoscopy to check for a leak that may be causing this. She also has pneumonia in her right lower lung with some excess fluid around the lung-probably from the infection. Finally, my condo is back on the market. I really don't like talking about it here because there really isn't much to talk about and I'm not gonna share a link. My tenant decided to move out at the end of June so we listed it with the hope that we either get a quick sale or re-rent it in time for the Sept/Oct market. The good news is that we seem to have more showings than we did in 2010. The "bad" news is that, just like when you are looking for a job or a life partner, until someone gives you a contract (or a job or puts a ring on it) you don't have anything to show for it. Updated: We have a very short window to work with before I have to try and get a renter in there again and since people tend to go house-hunting on the weekends, it takes a week or so to get good data and buyer feedback.